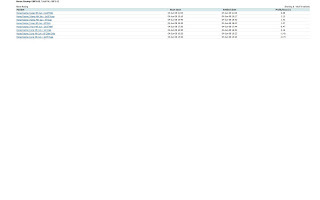 Iranian Giraffes Betfair Trading: Doubled my starting bank!!!!!!! Well today was the day...... I've now doubled my starting bank of £150 and turned it into £300+ and in that time I've yet to have 1 losing day. Trading wise with the extra money I got off to a shocking start losing 73p in the first race and then £1.40 in the 2nd leaving me over £2 down after 2 races so for the first time since the start I was beginning to question whether I could actually do this on a bigger bank, well in the 3rd race I traded it all clicked into place and I made £2.16 which just covered my 2 losing races from then on I made constant profits of around £1 a race which with my bigger bank will be the amount I will be aiming for. Refresh wise both BetAngel and Betfair were OK for most of the time and only spiked once or twice a minute so was probably better than it has been for quite a while, lately I've not been doing many races because of the poor refresh rates so I'm hoping that I will once again be able to trade for most of the day (so prob not the best time to be moving ISP from Eclipse to 02 on Friday then but hey Eclipse were beginning to annoy me with there poor speeds), so hopefully tomorrow will be a full or near full trading day for me as when my ISP is changed on Friday the Internet will be off for a few hours and then I have the 10 day while it determines my line speed which normally knocks the Internet off every few hours in those first 10 days so I will no doubt have to trade less to begin with.